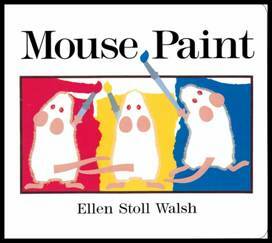 We love participating in the Virtual Book Club for Kids, and this month the author is Ellen Stoll Walsh. 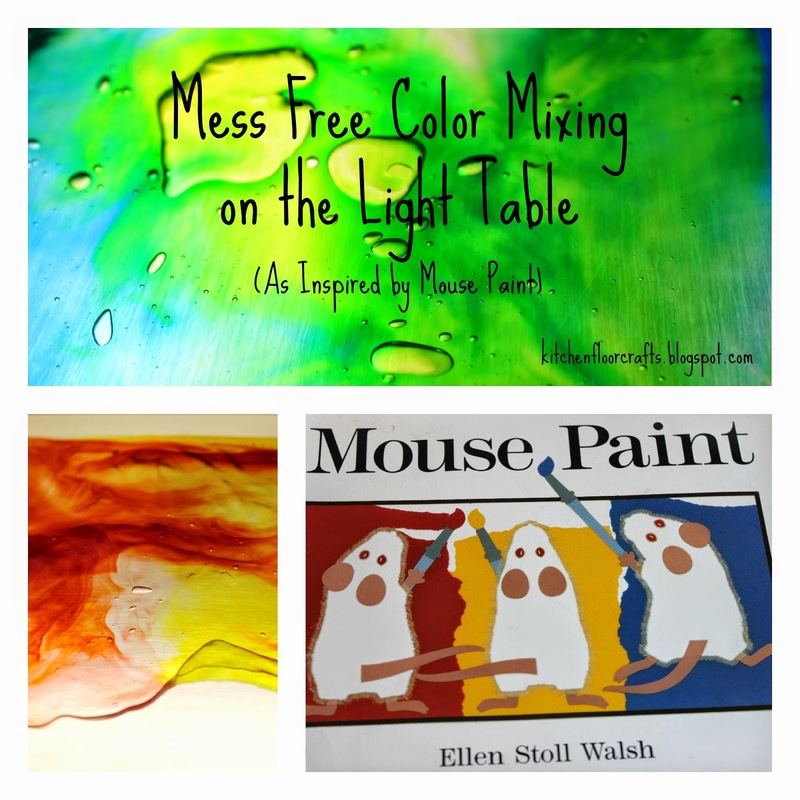 We enjoy several of her books, but particularly love the story of three little color mixing mice in Mouse Paint. A while back we did a color mixing wheel based on the book, so this time I was looking for a different idea. 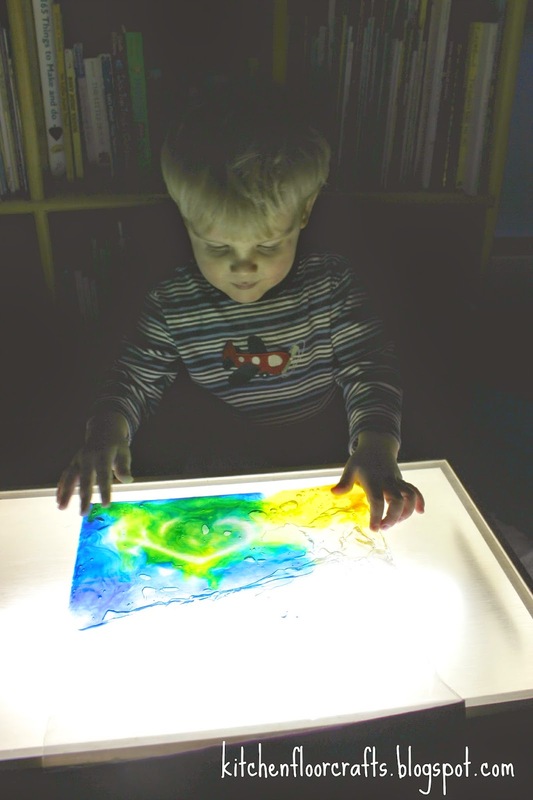 As we're still in the dark days of winter I decided to incorporate the light table in our play. It's not often these days I get any time alone with Little Brother, but last weekend Daddy and Big Brother were on their own adventure so we had some down time together. 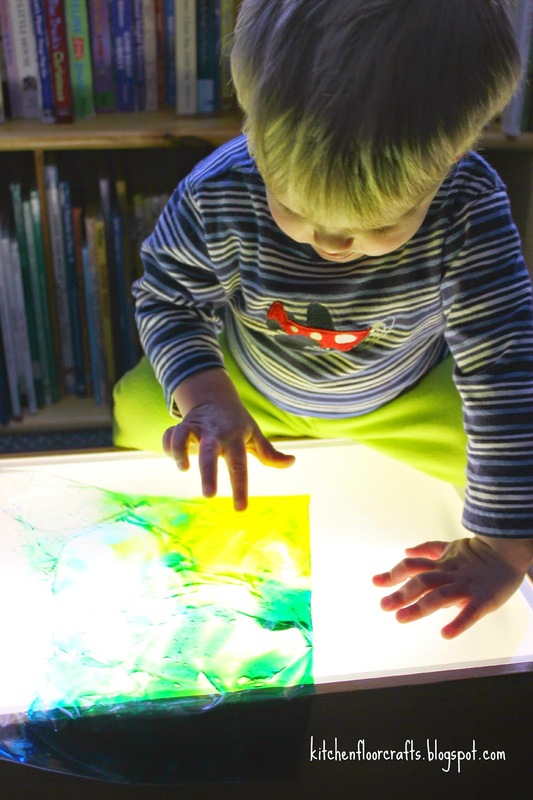 Perfect opportunity to do a toddler focused color mixing activity. Little Brother definitely loves a mess, but I decided it would be better to make it mess free. 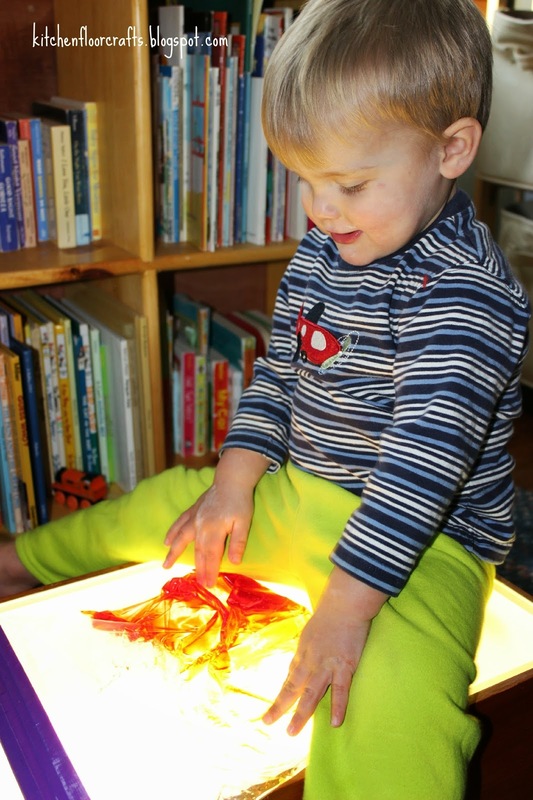 He often doesn't get a lot of time alone with the light table either, so I knew he would be engaged. 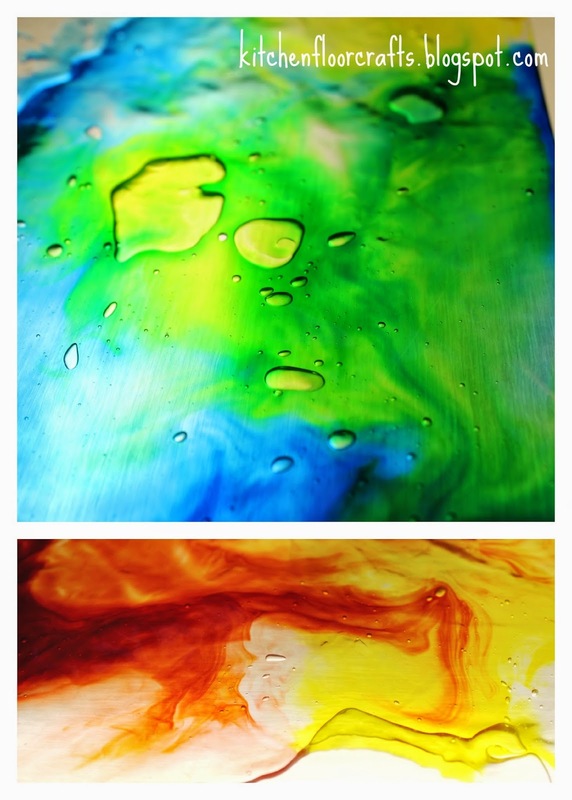 Several years ago at a teacher workshop we learned about color mixing bags, and I decided to combine the two into Mess Free Color Mixing on the Light Table. 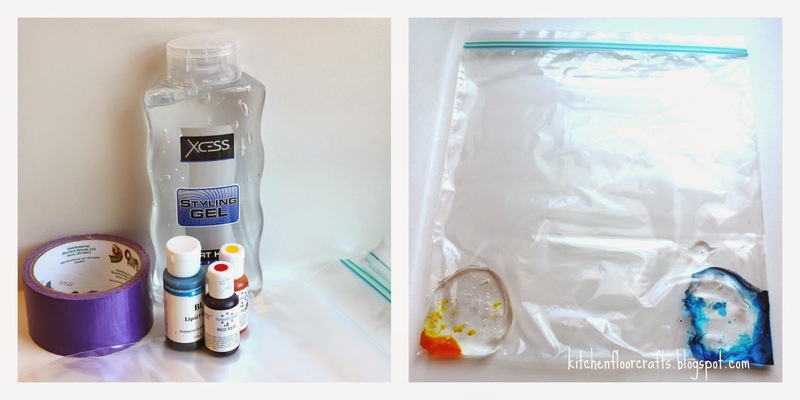 Although there are many different ideas for making color mixing ideas, I decided to go simple with hair gel and food coloring. First we read the story, which Little Brother really enjoyed. Then I showed him the bags. I showed him how he could swirl the two colors in the bag together. He was instantly intrigued. We continued to mix with the first bag. Beyond the colors he was also intrigued with turning on and off the light to see how it changed the colors as well as the cool touch of the bag. The colors began to mix, glow, and bubble in the bags. We continued, mixing the other two bags too, until Little Brother tired of the activity. It also meant there was a little bit of color still to be mixed when Big Brother got home. And because the activity was mess free, clean up was a breeze! Have you seen the other awesome ideas posted this month over at the Virtual Book Club for Kids?